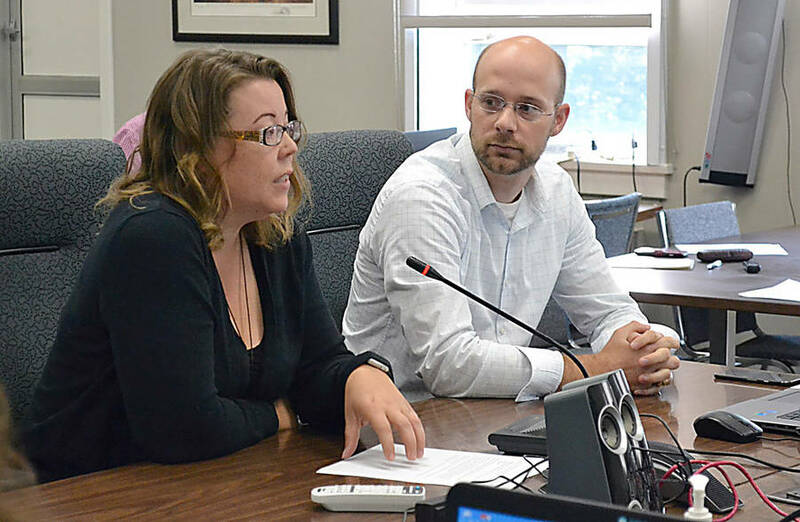 The Municipality of the District of Lunenburg (MODL) council has conducted the first reading of its proposed Municipal Planning Strategy and Subdivision By-law. All the council members voted in favor of the motion to do so at their August 28 meeting, except councillors Lee Nauss and John Veinot. "I will say that this public consultation process has probably been the most thorough, intensive process that I have gone through in my upwards of 20 years in politics on any one given subject," said MODL mayor Carolyn Bolivar-Getson. 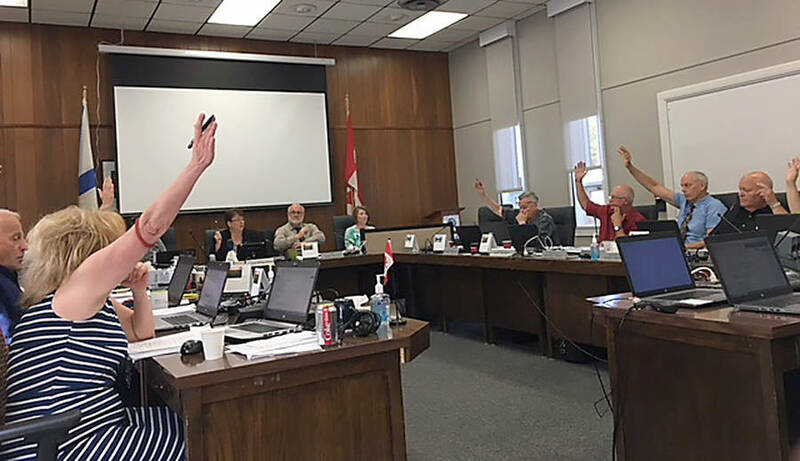 Bolivar-Getson made her comments after itemizing the lengthy steps taken since last fall to formulate a revision of the strategy and by-law by the planning consulting company, Upland, municipal staff, the planning advisory committee (PAC) and council members. "And I do believe that we have given this subject matter due diligence and it&apos;s time to make a decision today." Ian Watson, a planner with Upland, attended and spoke at the meeting along with Uplands&apos; engineers Evan Tisdale and Vince Goreham. "It&apos;s been a marathon not a sprint," he agreed. 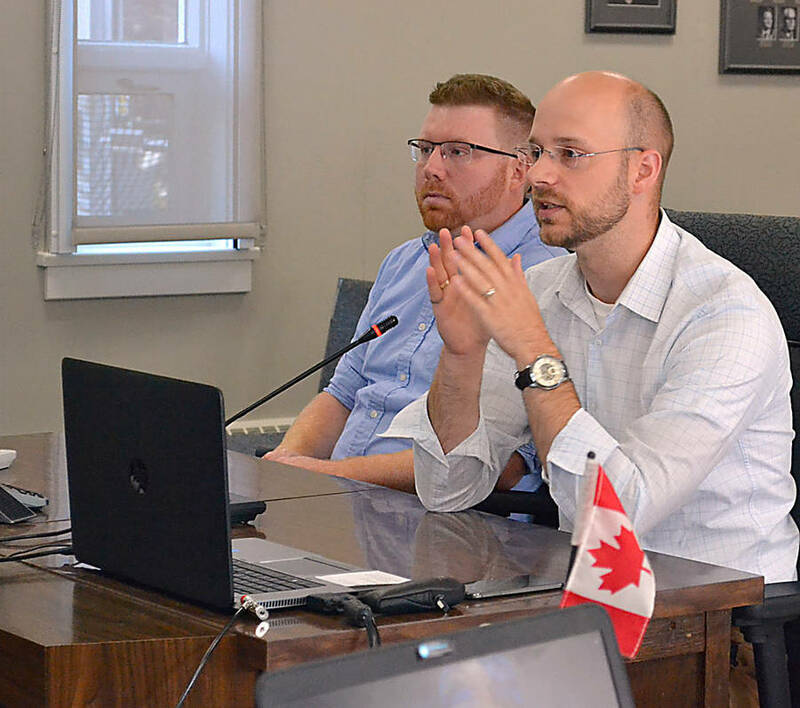 "There&apos;s been a lot of consultation in getting to where we are today, including focus groups, input from fire departments, open houses, surveys, public comments at each meeting, submissions and of course the two recent workshops hosted by council," noted Watson. Among the reasons for initiating the review of the current 18-year-old policies is that there has been "considerable growth" in the area and impacts on infrastructure due to climate change," Watson said, adding that another challenge is maintaining private roads. "We&apos;re hearing that from residents who want to see improvements in how the roads are built that they end up maintaining. "And at the end of the day we want to make the by-law more user friendly." The mayor also pointed out there is concern about access of first responder vehicles to private roads. Among the changes proposed to the municipality&apos;s planning strategy and sub-division by-law outlined by the planning consultant Ian Watson from Upland is the requirement for future road and active transportation connections with new sub-divisions. Another was for clear notification "that you are on a private designed road and there are certain responsibilities and certain expectations that come with that," since some residents on private roads have complained about not being aware of these in the past. There are also proposed changes to standards for public roads for areas around towns. "More urban areas that would potentially have narrower roads, lower design speeds, maybe sidewalks." However, a lot of the focus of the review has been on private roads. Among the proposed changes is the allowance for roads have a lower design speed - 40 kilometre an hour - and for them to be "windier," have tighter turns, and follow the landscape a lot easier than a higher design speed, which means "less cut and fill, overall less cost. "And also a more, if you could call it, a cottagey feel," said Watson. At the same time, there would be the requirement to have a cul-de-sac or a turning T at the end of a private design roads to allow things like fire trucks to turnaround and get out easily. "A big change from your current by-law and actually a really important one is to require for a lot to be created for the road and to have that road built within the right of way or lot so that it will be on its own property," the planner added. Other changes would allow a developer to extend a sub-division by up to 18 lots before requiring an upgrade of the existing private design roads. "Where that comes into play is that you have a big long road, a couple of kilometres into a lake, and a developer wants to add two, three, four, five new lots on a little extension. "We recognize that there would be a huge cost to upgrade that whole couple of kilometres to the new standards," said Watson. Concern had been raised among developers about prescriptive design on ditches and related costs. "Those will be designed by the developer&apos;s engineer as appropriate to the site conditions and only where needed." Other key issues relate to cross sections for the private design roads. The proposed changes creates two standards for these. Aggregate was another contentious issue raised by developers during the consultation process. "The bottom line is that we want to have enough aggregate that these roads can support the traffic that they&apos;re taking without rutting prematurely and making it easier to maintain in the long run ... you can&apos;t maintain a road that&apos;s inadequate to start with," insisted Watson. However, the proposed changes offers developers a "spectrum" of "options," he noted. Another issue was road certification. "There&apos;s one thing to design these private-design roads. We want to know that they&apos;re actually getting built to these standards," said Watson. Under the draft, the design for public roads would be reviewed and later inspected by the municipal engineer. "Whereas on a private design road, the design would be reviewed by your municipal engineer, but then the developers would have to hire an engineer to inspect and certify that that road was actually constructed as it was designed," Watson explained. Another issue were flag lots - lots that look like flag poles with a flag, and the pole provides "technical road frontage" on a public road. "Often the access would be on a driveway, that&apos;s maybe an easement of somewhere else across other lots," suggested Watson, noting it was "another way for developers to not have to build to the new standards." The proposed changes would limit flag lots to three in a designated area of land, but that the requirement would take effect when the new by-law was approved. While Veinot did not comment as to why he would vote against the first reading motion, Nauss indicated he would do so because of the flag pole issue, explaining he was concerned how it affected ongoing developments. However, Watson explained developers will be able to go forward with what they&apos;ve invested in without too much trouble." There is also a proposed change surrounding the current requirement that a developer donate 2 per cent of the value of the land to the municipality in cash for it to invest in public open spaces. Now the developer has the option to donate a prescribed amount of usable waterfront property that has public road frontage. A public information session on the proposed changes has been set for 7 p.m. September 17 at the Italy Cross Fire Hall, while a public hearing, which would allow for further comment, will be held at 7 p.m. September 24 in MODL&apos;s municipal council chamber.